The New York Times tells us that mean girls are getting younger. But as most of us know, the elementary-school mean girl is in fact an iconic — and feared — figure. Herewith, five of the very worst. Veruca Salt While as much a brat as a mean girl, you just know you wouldn't want to come between Veruca and, well, anything on the playground. The prototypical rich girl, Veruca is that particular variety of mean girl also feared by adults, and with powerful adult backing: a double-threat. Josie Pye. Anne Shirley's nemesis, Josie Pye is part of Avonlea's uniformly odious Pye clan: prissy, a tattle-tale, and always ready to put push her advantage. Worst of all, she puts boys before other girls; she'll always throw Anne under the bus to make points with Gilbert Blythe. Cokie Mason. Since images of Cokie Mason, the Babysitters' Club's group and spiritual foe, are rare, I have used an image of Logan and Mary Anne so as to remind you of her evil. One of these villains who's always around, Cokie's always trying to undermine the middle-school love of the century and generally acts as a jealous motiveless malignancy in the BSC universe. Lavinia. One of the truly meanest of literature's child mean-girls, A Little Princess's Lavinia is a bully with a weaker henchwoman. She's cruel about people's weight, their clothes, and their background. Physically abusive as well as manipulative, Lavinia is truly a character who needs to get her comeuppance. 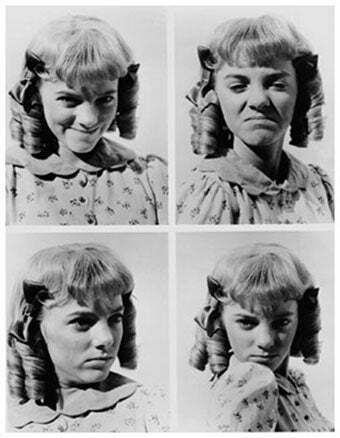 Nellie Olesen was a mean girl so iconic that actress Alison Arngrim says it's colored her whole life — and wrote the book to prove it. A two-faced troublemaker, Nellie's one of those characters who's frequently subjected to the petty physical humilation — think, mud — that are the brat's natural punishment. Like many of the best of her kind, she's also a fussy dresser.